Why Magento Over Other CMS? In this competitive world establishing a profound identity in the digital world is very tough due to increasing availability of platforms. These number of platforms often confused an individual to choose the right platform that can cater the different business requirements of development. Smart people often choose Magento as it provides competitive features over other league of platforms. Magento has proven its efficiency in the field of e-commerce over the years by catering the customers needs in the best possible manner. The higher efficiency is due to the extensions it provides that is beneficial in two ways, first it increases the visibility of the website along with the efficiency. A Magento Developer with a significant experience can take the website to the next level by using these extensions in an effective and extensive manner. 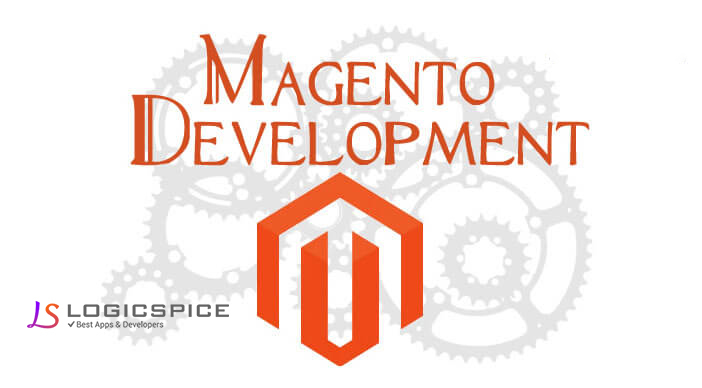 A leading Magento Development agency has also proven its efficiency by making the website more scalable and robust that are capable of offering various features to the customers. In order to get most optimal results for an individual's e-commerce website on must consider Hiring a Magento Developer that has a vast knowledge pool about search engine optimization, flexibility and conversion, community support, multiple store functionality, analytics and marketing promotions and tools. The knowledge of these different aspects will help in increasing the overall creditability of the website and therefore, a developer must be proficient in all the above stated aspects. Search Engine Optimization: - If the website does not possess a good search index ranking then it is likely that it will not be able to generate more traffic. Magento, thus provides the feature to create unique titles, keywords and other related factors that increases the Search index ranking of the website. Community Support: - Magento posses a huge community that consists of various professionals across the globe that are available to share their experiences and expertise with each other in order to assist effective Magento Development process. Multiple Store Functionality: - If one possess multiple stores then Magento provides a single admin panel to handle these multiple stores in a convenient manner. It provides the flexibility to add, delete, subtract, and modify content in an effective manner. Analytics: - A profound Magento Developer will always do analysis of the performance of its website and for this purpose Magento allows the developer to integrate its website with Google analytics in order to get details of overall performance of the website. Marketing And Promotion: - If one can do the marketing and promotion in an effective manner then it is likely that the website will get the desired results and Magento offers different ways to promote various products and services like free shipping option, multi-tier pricing and discounts option for a specific time frame.